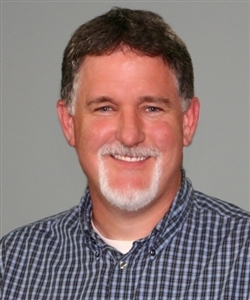 LAKELAND, FL - Dave Sippel, the Conference Director of Ministries with Young People, will be leaving the Conference staff to take on a greater role with Youth Ministry Architects. Dave has been serving in his Conference role for just over a year at 20 hours per week. He has also been serving as a Senior Consultant with Youth Ministry Architects, a ministry consulting firm located in Nashville, TN. Dave’s last day on the Conference staff will be November 23rd. He plans to stay involved with Conference task teams and youth worker development, and will be part of the 26 member group from Florida that will attend the Exploration Conference in early November. Exploration is a three-day event for young adults age 18-26 to hear, discern,and respond to God's call to ordained ministry and to explore their gifts for service as a deacon or elder in The United Methodist Church. A partnership with the Youth Ministry Institute has also been established during Sippel's tenure. This relationship assists local churches directly through pre-hiring consulting with SPRC’s, and supports youth directors with a two-year training and development process. Kelly Minter is continuing in her role on the Conference staff providing direction and guidance for the CCYM program, as well as creating an enjoyable, safe, learning experience for the youth delegates to Annual Conference.